When I think about a really good shrimp dish, shrimp and grits always comes to mind. If I’m at a restaurant, and it’s on the menu, nine times out of 10 I’m ordering it. There’s something about a bowl full of creamy grits, rich sauce, and succulent shrimp. How about adding a spicy kick? 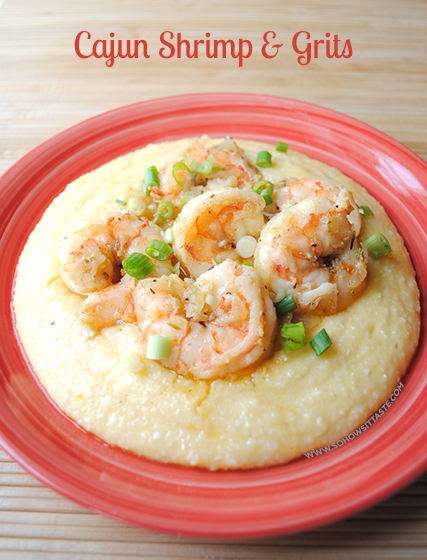 Take it one step further and make it Cajun Shrimp & Grits! 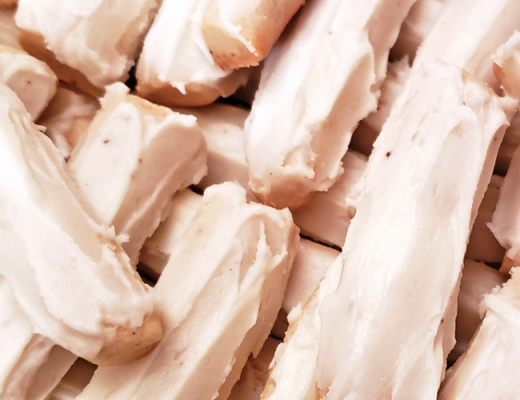 Don’t worry about any guilt either…it’s low calorie, too! For as many times as I’ve ordered shrimp and grits, I have never made them at home. I guess they always felt like a fancy restaurant dish and who has time to make grits? Well, everyone has time! Quick-cooking grits make it really easy (and fast) to prepare the grits. Plus, they’re cheese grits. Sharp cheddar cheese, plus the milk, make the creamiest grits. I kept sneaking spoonfuls after it was ready. The sauce is rich, thanks to a bit of butter, and savory. It’s not a lot of sauce, but just enough to add a punch of flavor. The shrimp is where you get a touch of heat. It’s sprinkled with the Cajun seasoning. 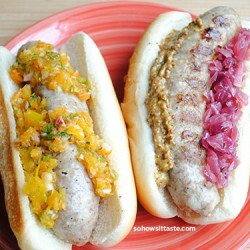 All three components come together for one delicious restaurant-worthy meal. At 346 calories per serving, you can almost afford to go back for seconds! About a month ago, I was contacted by OXO to participate in their Shrimp Showdown. 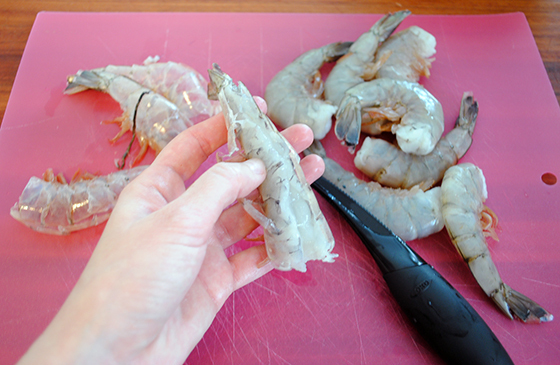 I love cooking shrimp, so I was super excited…until I learned we would have to devein our own shrimp. Say what? OXO teamed up with the Eastern Fish Company, a member of the NFI Shrimp Council, to send me five glorious pounds of shrimp…but I’d have to devein them myself. I was really nervous that it would be too hard or too time consuming. Luckily OXO sent me some awesome tools to get the job done. 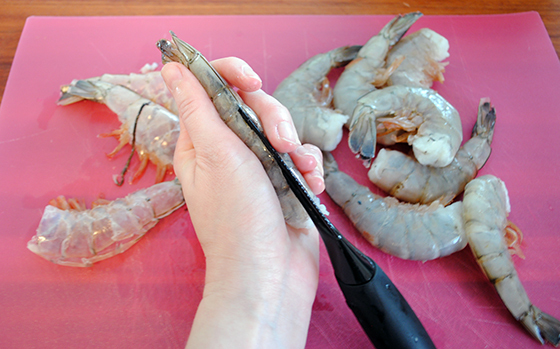 The OXO Shrimp Cleaner not only made deveining shrimp a breeze, it was actually kind of fun! 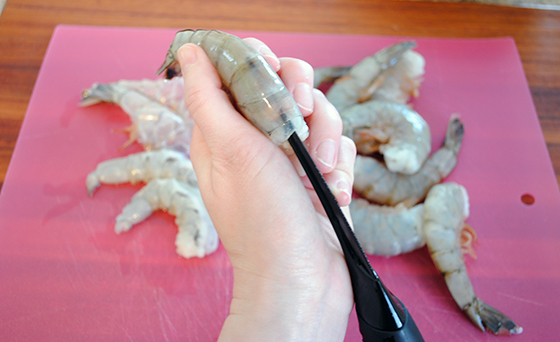 Hold the Shrimp Cleaner with the teeth up and push it through the hole down the shrimp’s back. In one quick push, it splits the shell so you can remove it AND it removes the sand vein. You can choose to keep the tail on, or keep pushing the Shrimp Cleaner through and take off the tail. After deveining the first shrimp or two, it’s really easy to fly through pounds of shrimp. This is great for me because I buy shrimp already deveined, but it’s more expensive and usually already cooked. This way I can save a couple of bucks and cook the shrimp the way I want it. Another tool that is super helpful in making this dish is the OXO Tongs. Shrimp takes no time to cook and you need to flip them over once to cook both sides. The tongs make flipping much easier than using a spoon. You’ve got more control over the flip and I really like these particular tongs because the ends are at an angle. My second favorite tool, after the Shrimp Cleaner, is the OXO Herb Snips. I used these to snip the green onions. 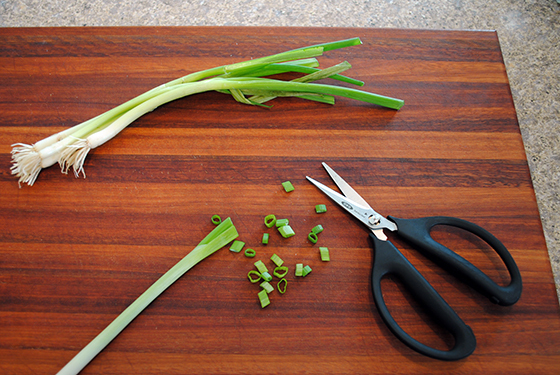 Every time I use a knife to cut green onions, they stick to the knife and kind of become a mess. It’s much cleaner, and not sticky at all, with the snips. The best part is the snips separate, so cleaning takes no time. These will really come in handy for chives, too! Check out my King Kong Couscous post to see another recipe I made using the Eastern Fish Company shrimp and OXO tools. I’m telling you, I’m a shrimp deveining pro now! 1. Heat olive oil in a large skillet over medium-high heat. Add ham; saute 2 minutes or until edges are golden. Add onion; saute 2 minutes. Add garlic; saute 1 minute. 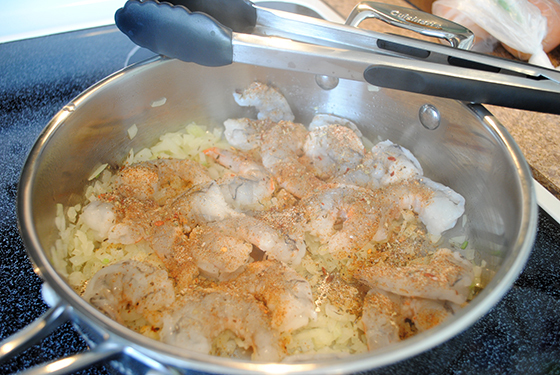 Add shrimp to pan, sprinkle with Cajun seasoning. Cook 3 minutes, turning once. Add 1/4 cup water, scraping pan to loosen browned bits. Remove from heat; add butter, stirring to melt. Cover and keep warm. 2. Bring milk, salt, and 2 cups water to a boil over medium-high heat. Reduce heat. Gradually add grits and cook until thick and bubbly, about 5 minutes, stirring constantly with a whisk. Remove grits from heat. Add cheese. Stir with a whisk until cheese melts. 3. Spoon grits evenly onto 6 plates. 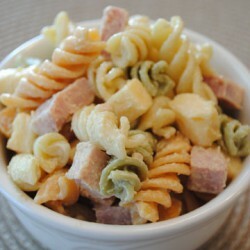 Top with shrimp and ham mixture. Sprinkle with green onions. Be sure to check out these Shrimp Showdown bloggers for more mouth-watering shrimp recipes! Disclosure: OXO provided me with the six tools listed in the giveaway and Eastern Fish Company provided me with five pounds of shrimp. I was not compensated for this post. All opinions expressed here are solely my own, as always. Well now I want grits for breakfast. Those look amazing! Um, I’ve made these grits by themselves about 800 times now. I have a big bowl of it and call it lunch/dinner. So creamy! Oh girl, yes shrimp is the best! It’s so low cal and full of protein. I love it! You should totally make that King Kong Couscous! Yum! I didn’t grow up eating shrimp and grits, but I have a good appreciation of this dish now. Looks delicious! Natalie, say it isn’t so! Grits are heavenly. I’m in the savory camp though. Don’t be adding sugar or any of that nonsense. 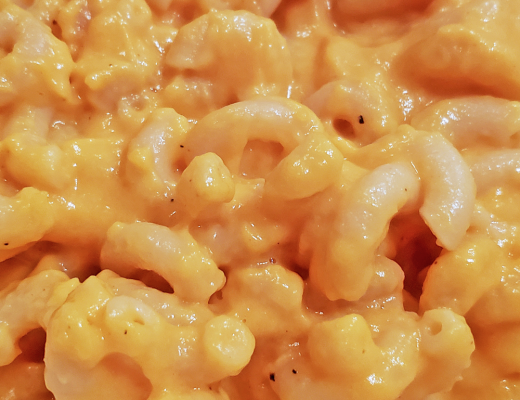 This recipe has cheddar in it and it’s amazing. Hope you try it some day! So, want to hear a funny story? I had the best shrimp and grits of my life a few years ago while on vacation in Savannah, GA with friends. And I could not taste it. I had a full-on horrible sinus infection, and thus, had 0% taste capabilities. But I just KNEW it was amazing shrimp and grits. All of my friends had a bite, and confirmed it was amazing. It was pure torture to sit there and eat it and not be able to taste it! 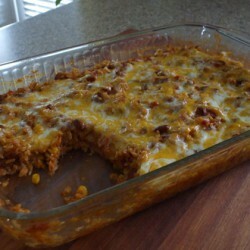 I’ll have to add this to my list of recipes to make this week! Thanks so much for sharing. This is making me so hungry!! 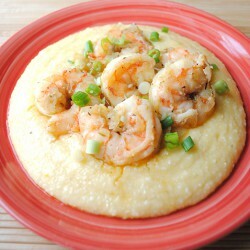 I love spicy shrimp on cheesy grits! 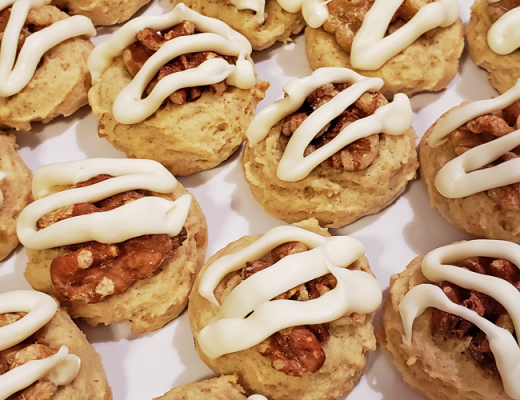 Great recipe and giveaway! Can you believe I’ve never tasted shrimp and grits??? But now I’m craving them big time!!! I just bought some shrimp today, now I know what i am making, looks amazing! Awesome recipe! I need to try this because I’ve never had grits! Love, love, love shrimp and grits! This looks almost too pretty to eat (almost). I think I’ve had grits maybe once in my life! This looks good enough to make me try them again! This dish sounds and looks amazing. Thanks for the step-by-step pictures too! 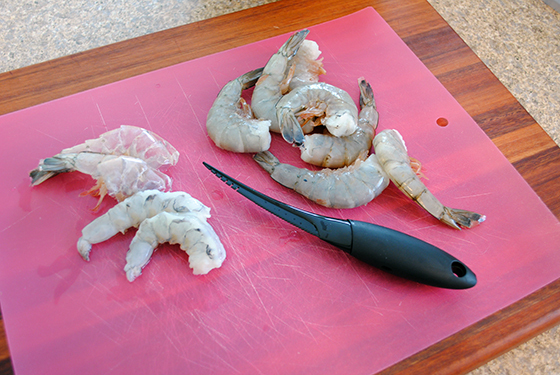 You make deveining shrimp look so easy – can’t wait to try it myself sometime soon! LOVE grits and the fact that you lightened this up. Move over, I’m diving in with my fork! I love love LOVE shrimp and grits. 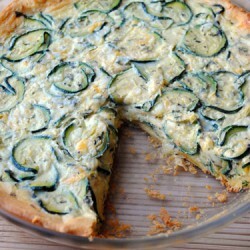 This dish looks wonderful!! (hint-hint) LOL!!! When I moved to the south, I had grits for the first time and I fell in love with them. One thing I never had though was shrimp and grits. 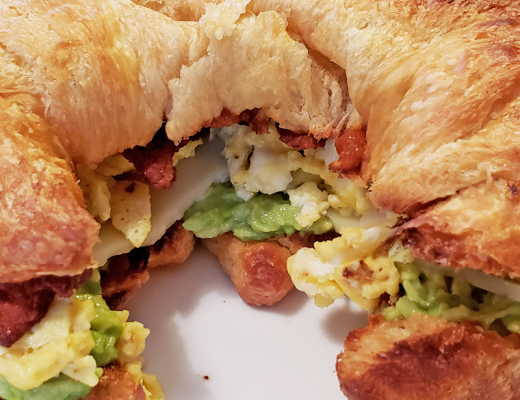 It’s still been on my list of things to eat and/or make. Yours looks wonderful! I’ve always wanted to try this dish, but I’m sore of scared of grits! This looks to good for my to ignore. I have to try it for myself!! MMM…I love shrimp! Looks tasty!